Cayuga Health System Orthopedics Services is a partnership between Cayuga Medical Center, Schuyler Hospital, Cayuga Medical Associates creating the region's largest provider of comprehensive orthopedic diagnostic, surgery and rehabilitation services. At Cayuga Medical Center we are proud to offer state of the art surgical techniques to correct a variety of orthopaedic conditions. All our surgeons are board certified in orthopaedic surgery and several have completed additional fellowship training in subspecialties. Our mission is to give our patients the opportunity to make the best recovery possible, right here, close to home. When you make an appointment to visit the clinic at Cayuga Medical Center, we'll connect you with the doctor who specializes in the area you need. You'll receive a thorough evaluation by our specialists, who will evaluate and explain your injury, help your pain, and offer treatment options. 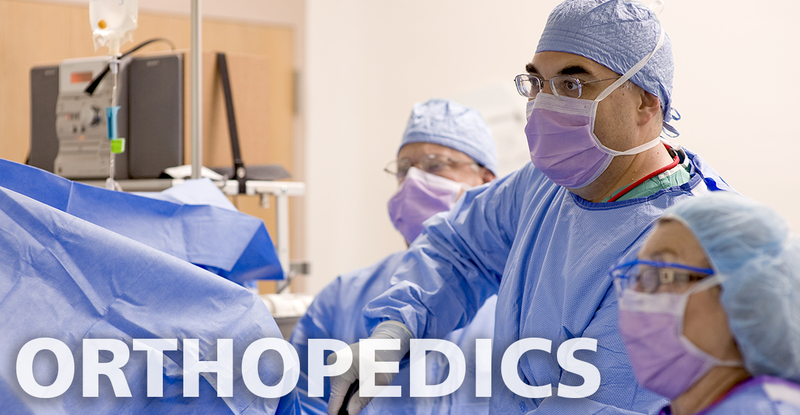 We are proud to offer state-of-the-art orthopedic surgical techniques to correct a variety of orthopedic conditions. Our surgeons are board certified in orthopedic surgery and several have completed additional fellowship training in subspecialties. Sports medicine physicians specialize in the diagnosis and treatment of musculoskeletal injuries experienced by physically active people of all ages. Our clients range from people who simply want to become fit all the way to elite endurance athletes who are looking to improve their performances. Sports medicine doctors are knowledgeable about chronic diseases that impact athletic performance, such as asthma and diabetes, and they are experts in injury prevention. At CMA Sports Medicine and Athletic Performance, we are actively engaged in the lives of community athletes both in Ithaca and Cortland. Orthopedists specialize in the diagnosis and treatment of injuries and disorders of the skeletal system and associated joints, muscles, and ligaments. Sports injuries, broken bones, dislocated joints, torn ligaments, joint replacement surgery, minimally invasive joint revision, trauma and fracture surgery for accident victims all fall within the domain of orthopedic specialists. The physicians at Orthopedic Services of CMA address all types of musculoskeletal injuries, both surgical and nonsurgical. A number of us have extensive sports medicine experience. In addition to general orthopedics, our areas of subspecialty expertise include surgery of the foot and ankle, hand, wrist, elbow, shoulder, and joint replacement. We see patients in Ithaca, Cortland, and at Schuyler Hospital.